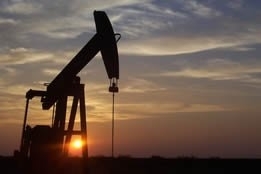 Despite media's persistent message that concerns abound over the prospect of a weakening global economy and waning crude demand, oil on Monday closed in on a four month high due partly to the ongoing commitment of the Organization of the Petroleum Exporting Countries (OPEC) to maintain its output cuts. And in a replay of sentiment that emerged amid the usual economic hand-wringing last week, some analysts reiterated their opinion that oil market is in an ideal spot. Brent on Monday settled up 38 cents at $67.54 per barrel, while West Texas Intermediate jumped 57 cents to settle at $59.09 per barrel, after hitting a four-month high at $59.23 earlier in the session. Saudi Arabia can be credited in part for crude's performance, with the kingdom on Sunday signaling that it may need to extend the 1.2 million barrels per day (bpd) of cuts past their original expiry date of June into the second half of 2019. Khalid al-Falih, energy minister for the Saudis, reasoned, “As long as the levels of inventories are rising and we are far from normal levels, we will stay the course, guiding the market toward balance." Also boosting Monday's trading performance was news from Genscape that stockpiles at Cushing, the delivery point for WTI, fell 1.08 million barrels in the week to Friday - the second consecutive weekly decline. Although the fleeting nature of drawdowns is hardly something that can be relied upon to sustain a modest bullish run for crude, some experts think the stars have aligned in the commodity's favour: Jan Stuart, global energy economist at Cornerstone Macro, told Bloomberg television that "right here right now, oil isn't doing much of anything, the economy is fine," and he added that "OPEC+ is really quite powerful.....for now, all is good in that world." Most tellingly, he added that "we think the global economy is in a beautiful spot and about to begin to lift" and credited Beijing for "goosing their economy into a higher pace of activity." Meanwhile, Christyan Malek, head of EMEA Oil & Gas Research at JPMorgan, told CNBC on Monday that if oil can be maintained at between $60 and $70 per barrel, it will work in the favour of rival U.S. producers and OPEC.